Hello all my second back to back post, as I said earlier I really have a lot of cards sitting to be shared, so trying to post a few. 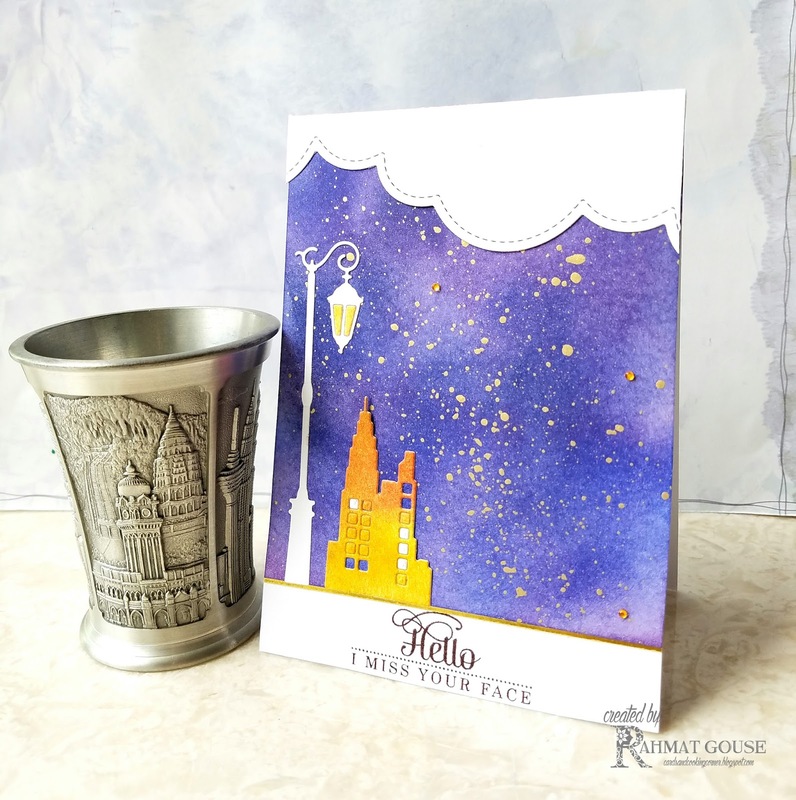 I made this video on Monday, some peeps were asking me to show the background for the starry sky card, which was published in the Craft Stamper November issue. So I showed the background in the video, then made the card later. If you are interested, watch the video, for the background. I used the background I created in the video on a card. I simply added it to a white base, and added some cloud dies from Lawn Fawn. Lamp post from MFT, and the house die from Paper Smooches. The tag is made using the Avery Elle die. I used Uniko - background builders winter addition stamps to stamp randomly to create a pattern paper kind of look. Such a pretty night sky. Your card is lovely. Thanks for sharing at Less is More! Beautiful Night sky ! The tag looks pretty ! Oh wow! Great colors!! Your card is breathless!!! Love your card scene in these colours. Your night sky looks fantastic with the warmth from the gold. 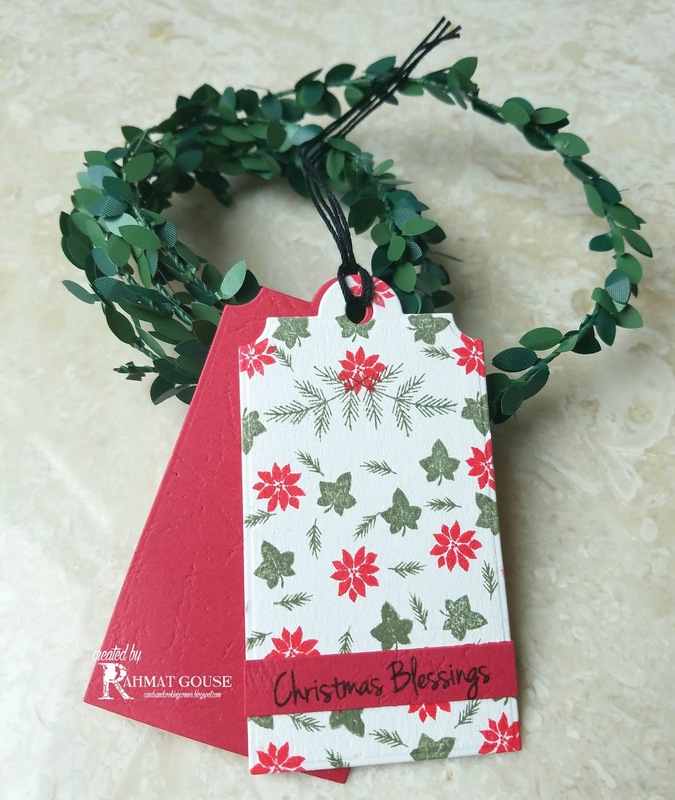 And what a cute little tag, love how you've created the look of patterned paper. Thank you for the demonstration on how to make that background. It came out so pretty!! LOVE your pretty tag too!! 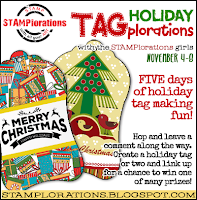 Thanks for playing with us at Stamping Smiles Designs Tic-Tac-Toe Challenge!! Wonderful sky, Rahmat, and the little scene so inviting. Thanks for sharing your card at Addicted to Stamps and More. Gorgeous! Its a beautiful card with that gorgeous night sky background..love it! And a pretty tag too! Your card is stunning; I'd love to go for a stroll in that scene you've created, and stand under the lamp, gazing in awe at my surroundings! Beautiful! Thank you for sharing your artistry in the ATSM gallery! I love your card! The night sky is gorgeous! Thanks so much for joining us at the Tic-Tac-Toe challenge! What a fantastic scene card. Beautiful night sky. 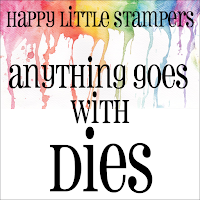 Thank You for playing along with HLS Anything Goes with Dies.